WE ALL SHARE THE SAME MISSION. THE SAME VISION. AND MOST IMPORTANTLY, THE SAME PASSION. A core strength of our program is our professional facilitators. These are a diverse group of people, each with unique talents, backgrounds and perspectives. What they all have in common is a consistent degree of leadership instruction training, and dedication to the purpose and spirit of the Manito-wish Leadership Development Program. Our facilitators are passionate about achieving your goals, which goes a long way towards having a positive and lasting impact on the people we serve. Led by Leadership Program Director Sean Hurtubise, our directors take a lead role in assessing your goals and objectives, planning your specific curriculum, and coordinating the facilitators, schedules and exercises that will play a role. Sean began his relationship with Camp in 2011 with the most challenging and rewarding position he has held to date, a Near South counselor in Fairview Cabin. Having spent 2 summers as a sectional and multiple springs/summers/falls as a facilitator in the Leadership Program, Camp has been a second home to him ever since. After graduating from Elmhurst College with a degree in Music Education, Sean went on to work as a Reserve Teacher in both Chicago and Minneapolis, spent time teaching music in Montego Bay, Jamaica, and held a position as a youth boatbuilding instructor at Urban Boatbuilders. 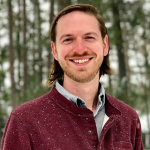 Throughout these varied experiences with education, Camp Manito-wish has always been a driving force in his passion for youth development, and he couldn’t be more excited to be a full-time member of the CMY family. Mark currently serves as the Leadership Program Outreach Director for Camp Manito-wish YMCA, a role he assumed in May of 2015. Prior to that, he managed year-round program delivery for high schools, middle schools, youth agencies, colleges and universities across the Midwest in the role of Leadership Program Director. Before coming to Manito-wish, Mark directed the Northern Quest Learning Center program, an outdoor adventure program for youth with emotional and behavioral disabilities, and was lead facilitator for the Intercultural Leadership Initiative in the Lakeland school district. 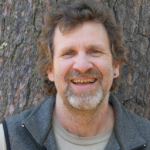 Mark is also a certified secondary social studies teacher and has presented at national and international conferences on various aspects of experiential and adventure education for many years. The Lead Facilitators, our most experienced professional staff, closely coordinate the planning, organization and delivery of all aspects of your program, from schedules and curriculum to accommodations, meals and travel arrangements. They will oversee all aspects of your experience to ensure a positive and productive outcome. These hands-on facilitators will administer the actual curriculum, serving as teachers, guides, cheerleaders and referees. They will work closely with your group to gain an understanding of personalities and dynamics and steer the exercises in a way that makes the most of your leadership development experience. The Manito-wish Leadership Program has had a tremendous impact on our school. We have been coming to Manito-wish since 1990 and have always had a great experience.